At Shuttle, we take great pride in being active members in the communities we serve. We believe that each partnership we forge brings us closer to that community and we try to give back as much as possible. 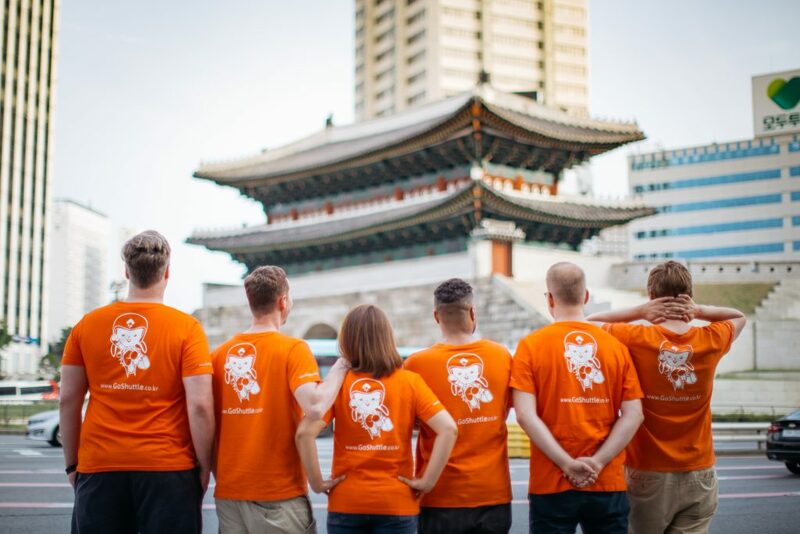 We partner with corporations and groups of various sizes; if you believe a partnership with Shuttle would be mutually beneficial we encourage you to submit a sponsorship proposal to partners@shuttledelivery.co.kr. The food you desire! Crave is Seoul’s premiere catering experience, from large-scale corporate events to intimate gatherings, Crave makes the food you desire their business. Crave caters to you! With Crave, organizing your event has never been easier. Crave works with you to customize the ideal menu for every budget and scale. Let Crave take care of the details so you can focus on the celebration. Some of their past clients include: 2018 League of Legends World Championships (Riot Games), Seoul Foreign School, Channel, Facebook, Apple, Merck, NBC (2018 Pyeongchang Olympics), British Embassy Seoul, American Chamber of Commerce, British Chamber of Commerce, Yongsan International School, Yonsei University, Sogang University, etc. The British Chamber of Commerce in Korea (BCCK) is an organisation that represents the business interests of its members in Korea. The Chamber represents a broad spectrum of British, international and Korean companies, which all share significant commercial interests in the country. The Chamber also works together with the British government to promote British trade, commerce and investment in Korea and to encourage business development between Korean and British companies. In order to achieve these goals, the Chamber offers networking, advertising, business facilitation/development and advocacy services through its experienced team, events and workshops. As such, we provide new links and business opportunities for our members as we seek to support our membership with best-in-class services. The German Embassy of Seoul represents Germany in defending its interests and protecting its citizens in Korea. They negotiate with the government of the host country and promote political relations as well as economic, cultural and scientific cooperation. The German Embassy was the first embassy to allow their staff members the opportunity to take part in Shuttle’s VIP Program! Dwight School Seoul is the FIRST International Baccalaureate (IB) World School in Seoul to receive authorization in all three IB Programmes, the Primary Years Programme (PYP), Middle Years Programme (MYP), and Diploma Programme (DP). The Canadian Chamber of Commerce in Korea (CanCham Korea) is a member-driven, non-profit organization that provides an extensive networking platform for its members with business interests in Canada, Korea and the broader Asia-Pacific region. CanCham Korea is a dynamic and influential Chamber, open to businesses and individuals with economic and/or personal ties to Canada and Korea. Canada was built and continues to grow on the strength that comes from diversity. CanCham Korea is no different, with members ranging from large Canadian corporations doing business in Korea, and well-known Korean corporations, all the way to start-ups and academics. Create Wellness Center has been serving the English and Korean speaking community in Itaewon for more than 15 years. With a combination of Chiropractors, Naturopaths, Rehabilitation Specialists, Massage, Pilates, and Yoga, their center provides comprehensive holistic care, a bilingual staff, and an atmosphere that would be comfortable for anyone who has lived abroad. Their staff is bilingual and they also provide English insurance receipts so you can submit receipts to your international insurance company for reimbursement. Their main branch is in Itaewon, (02) 749-4849 and their newest branch is in Pyeongtaek (031) 647-0749. Give them a call to schedule a free consultation with one of their specialists today! The Camarata Music Company was founded by Dr. Ryan Goessl in 2009. Camarata Music is comprised of the Camarata Chamber Orchestra, Camarata Chorale, Camarata Chamber Singers, Camarata Youth Choirs, and Camarata Musical Theater. The choirs have performed over 300 performances since their 2009 beginning, the Camarata Chamber Singers performed at the Blue House for the President of Korea, all ambassadors, and numerous corporate CEO’s, as a part of the “World Friends, Korea” event. If you’re interested in checking out a performance or joining Camarata more info can be found on their website. Nothing’s Really Real is a podcast based out of Busan, South Korea and is hosted by the multi-talented Kelly Brassbridge. 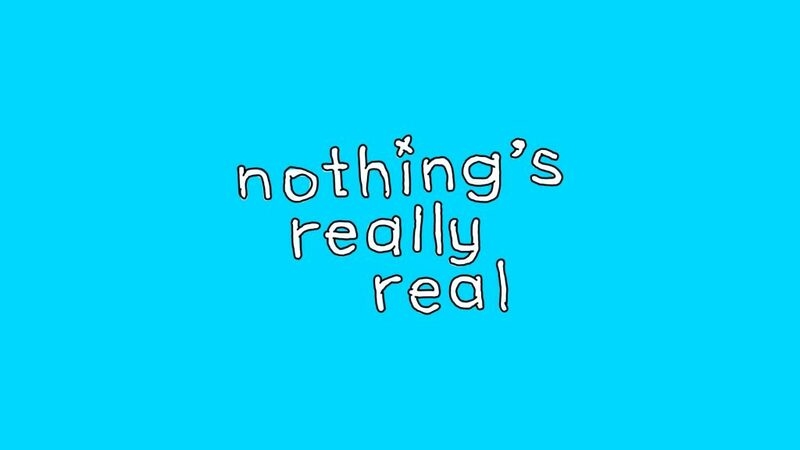 Kelly is an artist, comedian, (former) musician, and a great podcast host; he just pumped out Episode 54 of Nothing’s Really Real and we absolutely love it. The podcast is truly a reflection of Kelly, himself; he features many guests that live in Korea and the pod covers a wide array of topics ranging from art, music, comedy, hip-hop … and anything else. Follow Nothing’s Really Real to catch up on past episodes and keep up to date on new ones! The Itaewon Pool League is entering it’s 18th year, it is an 8-ball league played on Wednesday nights at 7:30 in Itaewon. Amateur players of all skill levels are allowed to join and play in Itaewon bars. The league promotes interactions between foreigners and Koreans to make lasting friendships while playing pool. Season meetings are held in early July and January, for more info please visit IPL’s website.